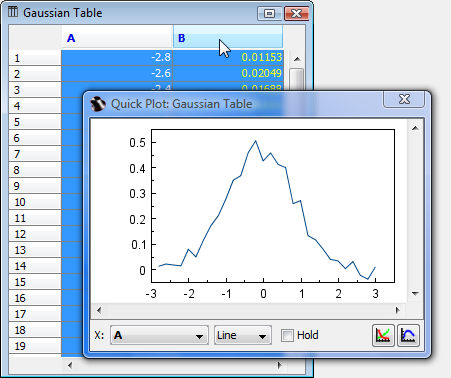 Quick Plot tool is used for viewing a plot of Table columns without adding new Figures to Project. Select Tools → Quick Plot item to open this tool. When Quick Plot window is open select some columns in Table to view the plot.